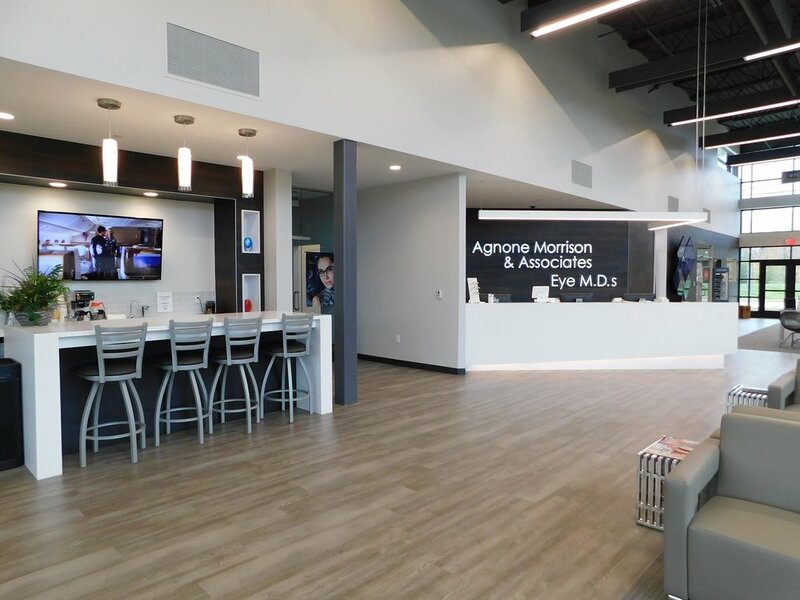 In their new, $4.6 million, state-of-the-art eye care facility in Marysville, Ohio, Agnone Morrison & Associates can fulfill their vision of improving the eyesight of their patients and helping them better their own health in the process. Designed as an eye care and wellness destination, the new medical office building employs integrated technology solutions that help the AMA Eyes team offer a holistic view of patient care. The technology includes eye-catching elements, like the artistic digital screen in the retail center. 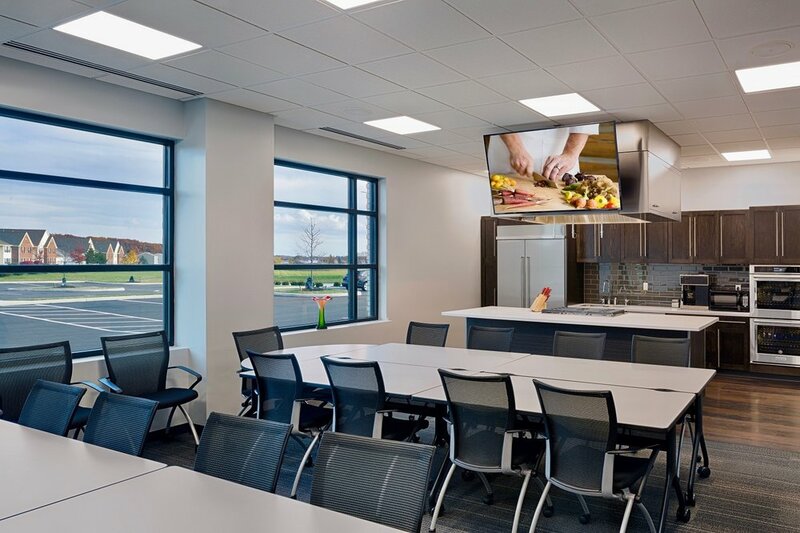 A sound-masking system enhances patient privacy, and additional video screens in the lobby and kitchen complement educational programs, including cooking classes. Agnone Morrison & Associates engaged Integrated Building Systems at the design phase of the project, which ensured a comprehensive plan, budget, and integration for technology.